We hope this section is a source of comfort and reassurance. For more support, see our Parent Supporters or our CLAPA Community Facebook Group. 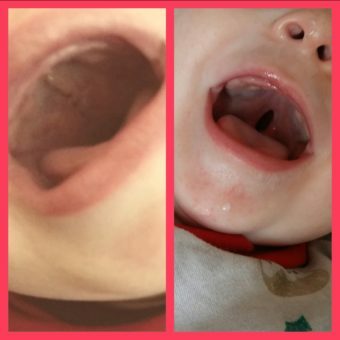 There are a number of different surgical techniques practiced by cleft surgeons across the UK, so the specifics of the surgical procedure itself may vary, but the results will be largely the same. You may hear things from other parents that are different to what you have been told by the surgical team, but this should not be a cause for concern. 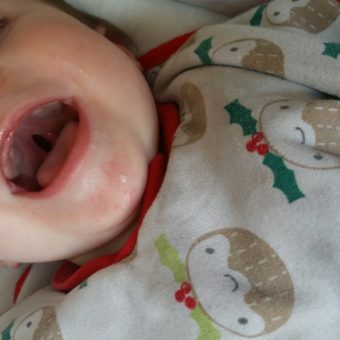 The surgeons working in the NHS Cleft Teams are cleft specialists and perform operations on many babies like yours every year, so wherever you are in the UK, you can rest assured that your baby is in good hands. 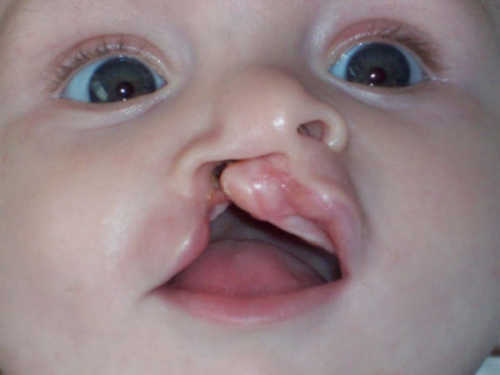 If you have any specific questions or concerns about the procedure, talk to your Cleft Team. Surgery will be done under general anaesthetic (where your baby is asleep the whole time). One or both parents are usually able to go into the anaesthetic room with your baby and stay until he or she is asleep. This usually involves your baby breathing some gas. Once your baby is asleep, a tube will be passed into their airway to help with breathing, and a cannula (a thin tube) is put into a vein, often in the foot, to help give fluids to your baby during and after surgery if necessary. Your baby will look quite different after the surgery, and this can be quite distressing to some parents. 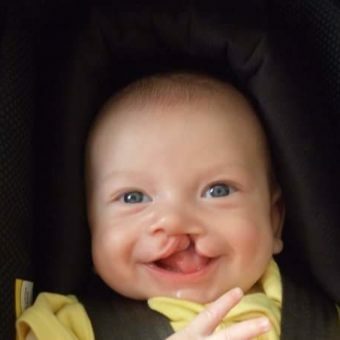 Many say that they miss their baby’s ‘old’ smile and that it takes a while to get used to how they look following the cleft repair. Prepare yourself for this as best as you can using our surgery gallery and by reading stories from other parents, and do ask for support if you need it at this time. 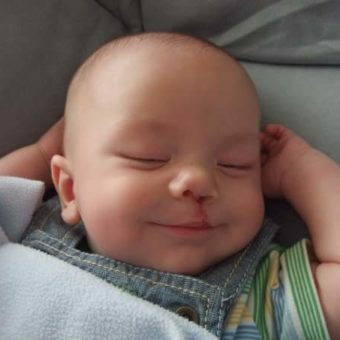 Babies will usually stay in hospital for one or two nights after the operation, however if the cleft is quite small some babies may even be discharged on the same day. If your baby already has a passport before their lip repair, you may need to get a new one shortly after if you plan to travel. The UK Passport Office have stated there is no formal guidance for cases like this, and that they cannot advise parents on their individual cases. Whether or not a passport will be accepted depends on the reactions of the officials at different borders around the world, and if they can easily recognise your child based on their passport photo. The general advice is that if the change to your baby’s appearance is ‘drastic’ and ‘unrecogniseable’, you should get them a new passport. You’re unlikely to have issues when taking internal flights or when leaving the UK, but staff may advise you that you could run into problems trying to enter your destination country. If you have issues entering a foriegn country with your baby’s passport, you will likely be pulled aside and given a chance to explain their different appearance. 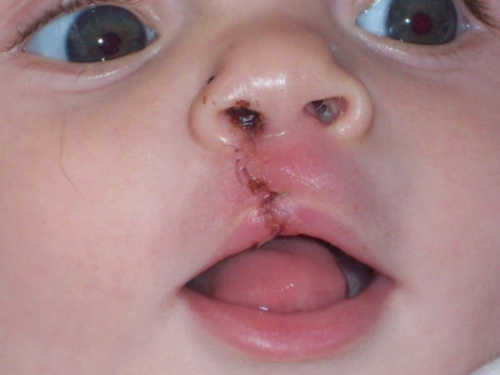 If your child has a visible scar matching the area of the cleft in the photo, and if you have photo records of them being in hospital and receiving their repair surgery, you’re more likely to be allowed through. You will always be taking a chance, however, and it will usually be much simpler to get a new passport than risk being turned away at a border. Anecdotally, many parents have told us they’ve had no issues travelling with a pre-surgery passport photo for years after the repair, and have never had to produce ‘evidence’ of their child’s surgery at a border, but there is no guarantee. Unfortunately, there are no separate procedures for updating a photo for a reason like this, so you will have to apply for a new passport for your baby in the usual way. 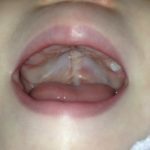 The palate (especially the soft palate) is very important for not just eating and swallowing, but also for speech, so a palate repair surgery aims to make sure the palate works as well as possible. 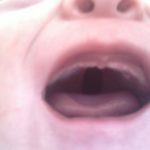 It is repaired in layers, with the focus on reconstructing the muscle of the soft palate. As with a cleft lip repair, your child’s mouth will be quite sore afterwards (especially at the corners where the lip has been stretched during the operation), and splints may have been placed on your child’s arms to stop them from touching or picking at any stitches.